When looking for a project manager be sure to use a specific and detailed job description, as generic requirements will mean a company is inundated with hundreds of applications. Statements such as “must have good communication skills” and “must work well in a team” are basic necessities for a wide range of roles. Instead, a company should provide details of the actual project the new employee will be working on. Prospective project managers will prefer some projects to others and businesses should therefore be searching for someone who is 100% committed to the specific project in question. Candidates should also be in possession of all relevant information pertaining to the project beforehand. This does mean that companies and HR personnel must be completely aware of what kind of employee they are looking for. There’s a difference between functional and technical project managing, and a business should be aware that requiring very specialised technical knowledge may discourage some great candidates from applying. A manager doesn’t necessarily need to know all the nuts and bolts of a project to run it well. Finally, due to the crucial influence of a project manager on a business, companies need to make sure they hire someone who is both motivated and dedicated. A project manager for a small project should combine his or her duties with helping other members of staff; for crucial projects, however, a dedicated manager is essential – but this does come at a cost. Unwrap Project Success This Christmas: 9 Gifts Your Project Has Always Wished For..
A little book with plenty to say. 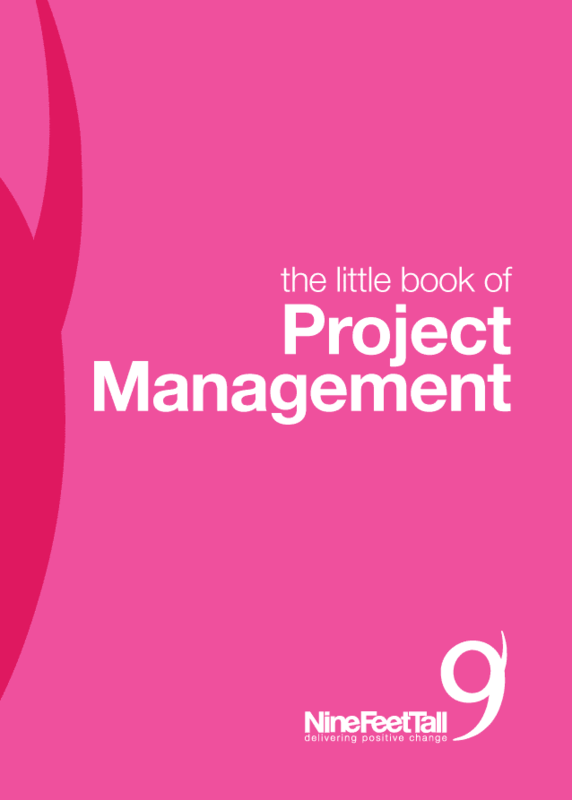 We’re proud to share our Little Book of Project Management.